In two weeks, Joe will turn 85. That’s why I’ll be sharing and interview that Entertainment Rap Magazine did with Joe in late 1972. The interview was spread over 4 magazine issues but I only have part 1, part 3 and the interview conclusion. If someone has part 2, please let me know! “Mr. Jackson” to some. “Papa Joe” to others. But to everyone he’s the man who steered America’s first black teen supergroup straight to stardom and he has quite a story to tell. It’s never been told before, so join us for the first in a series of intimate raps with Papa Joe Jackson. The following is an un-cut taped interview with one of the most sought after figures in recent music history. 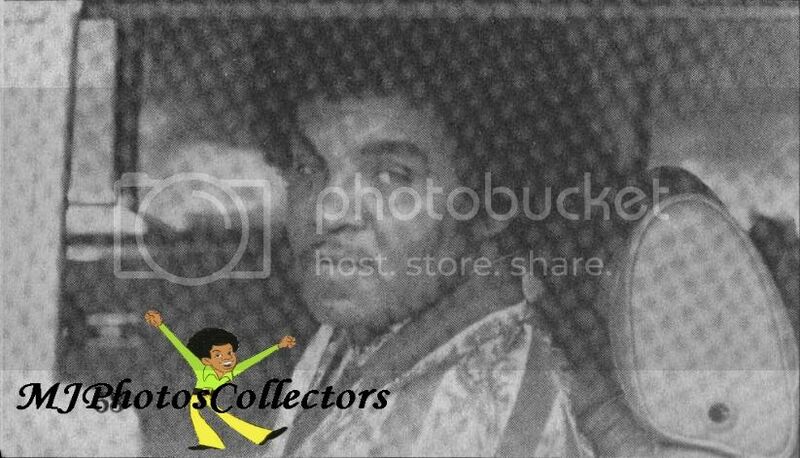 Father of the Jackson Five, Joe Jackson’s track record speaks for itself. 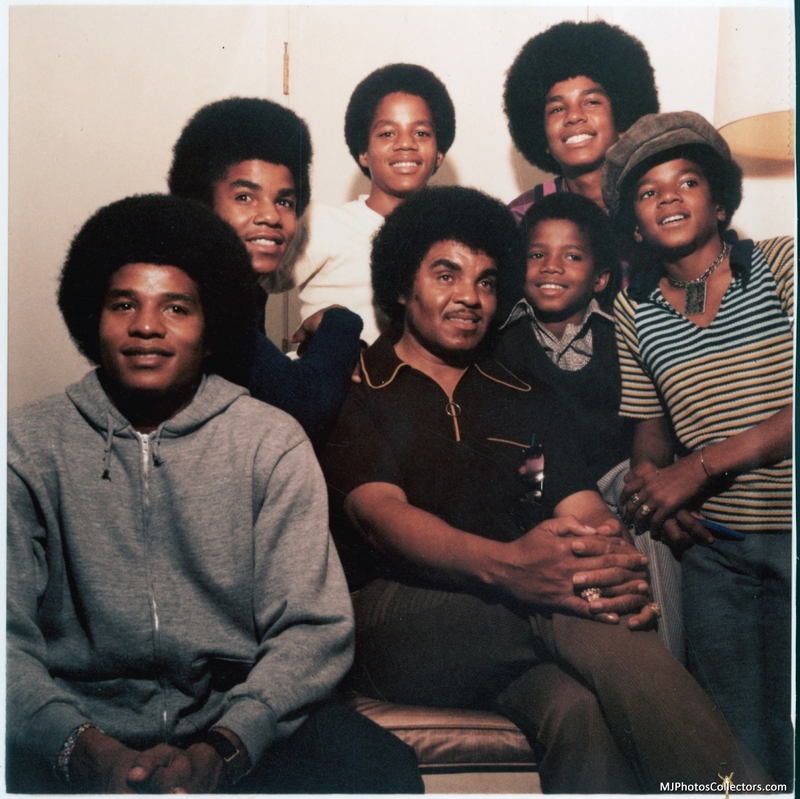 Whatever The Jackson Five are to the world today – they began with the ideas and directions of their remarkable father. Rap! Is very proud to have Joe Jackson with us in our first issue! R: Why don’t you just start from the beginning? People want to know just about anything you’d have to say. You are one of the few links anyone has to the phenomena your sons have unleashed on the music world. J.J.: For me it all started before Indiana. I went to high school and grade school in Oakland, California. When I was 16, I went back to Indiana to live with my mother. You see, my father was in California and my mother was in Indiana. I got married when I was very young. I married a young lady they call Catherine Jackson, who made a wonderful wife! We had kids – 6 boys and 3 girls. I should say she had them, ha, ha! Anyhow, it was during this time I met a bunch of fellow who wanted to sing and really put a lot of effort into giving music a good try. I joined them and we called the group The Falcons. R: Did you play and instrument? J.J.: Yes, I played the guitar and sang as well. We would rehearse around the house, while Jackie and Maureen (who were just small kids) would go crawling around on the floor. They’d listen to us playing and singing, even then, and you could tell they really liked it. Unfortunately, the fellows and I began to realize that it was going to take a lot of money to get our thing off the ground. So what I did was transfer a lot of my own music interest to my sons. It was obvious to me that they were interested anyway, so what I did was start Jackie and Jermaine and the rest of the small boys singing and playing music. R: How did you do that? Describe some of the ways you did that. Their interest was already there, so….? J.J.: Yes, their interest was there because they used to watch, you know, and try to copy what we were doing. This was around 1959. I was already rehearsing them rather seriously. I used to put them through a rehearsal every day for 4 hours until I finally got them to where they could go out and be on some type of talent show. This took about a year. R: How many of the boys were in the group then? All five? J.J.: Yes, all five. We were beginning to do some talent shows around Gary, as well as some little clubs in the city. First they won a few local talent shows, then they won a statewide talent show and it led to bigger things, such a college dates. Then the college dates led to the Regal Theatre in Chicago and from there we went to New York and played the Apollo Theatre. After that, we went to The Up Town Theatre in Philadelphia. Mostly they played theatres during school vacations because, remember, they were in school too! R: What did they need from you during this time. How did you describe what you were doing to actually help them? Was it just your presence, or were you directing them musically? J.J.: I was directing them musically. I was seeing to it that they rehearsed every day! I had become very friendly with some booking agents called Universal Attractions in New York. We weren’t signed to them or anything, but they were good friends. So every time the boys had some time out of school, these people would get in touch with me and we’d reach some kind of agreement for them to do dates in different parts of the state. We were beginning to spread out more. It was like The Temptations of Gladys Knight & The Pips would be on the same shows we were playing. This kind of exposure led to a recording contract with a small record company called Steel Town. R: Did the J-5 release any songs on that label? J.J.:They released one song called “I’m A Big Boy Now.” I only had a 6 month contract with them because they were a small company located in Gary, Indiana. Then I began to make other recording arrangements. I was trying to get something started but we found out that the boys really liked Motown’s style of music. They loved The Temptations and Diana Ross. R: How true is the “Diana Ross/ J-5 Story” that everyone tells. Was it true that she saw your sons in Gary, Indiana and got so excited se brought them to see Berry Gordy at Motown? J.J.: Let me put it this way. We were at the gate. In music, I mean being into the entertainment field as professionals, there’s always an iron gate for everyone to get through. “They’ have to be willing to accept you in this field. We had like one foot in the gate and one foot out. What Diana Ross did, more or less, was to open the gate for us. Once we got in, it was with Motown. But as far as I’m concerned, it’s like I said: the gate was opened by Miss Ross. In fact, she called me this morning to say she’d be coming over to visit all this evening. She’s a good friend. R: When you went to Motown, did they change the group’s sound a lot? J.J.: Yes, they did change the sound of the group. They changed it into a sound of their own because they felt the J-5 were singing a little bit of everybody’s style. The style was changed to much more of a “bubble gum” type sound for younger generation people. R: (Laughing) Which worked rather well, we might say! J.J.: (Laughing) Yes! The style was liked by blacks and white alike, and this meant a whole lot to the J-5. It made for good singing and a lot of records being sold! J.J.: I knew it was the right connection. We had something to offer, you know! We had a good group before we came to Motown. We were doing professional work already. R: Can you get into that more? What exactly was it that was so obviously good about your sons from the beginning? You were so close to them. How would you describe their magic, their excitement? J.J.: The boys would obey! They would listen and they would try to do anything you would tell them to do. This means a great deal in music because it’s understanding that counts. If you get a good understanding going between you and the musicians you’re working with, things get across a lot better. Before we game to Motown, we were in exile. I was sort of like trying to find out which direction to go as far as the entertainment field was concerned. I was trying to find exactly what recording company to decide on. This took a year. One year of doing things for all the disc jockeys in the East and Midwest, as far as Kansas city. R: what do you mean “doing things”? What kind of things? The problem is, that I don’t have the December issue of entertainment Rap so I won’t be able to share part 2 with you but part 3 WILL come next week!! The kids watched their father play in his band, and as children do, they try to imitate what they are around. Considering how concerned Joe was, not wanting them running around the street, the kids stayed in the home with him while he was rehearsing his band. Joe, with his band, had already been through the introduction phase of learning to sell the band, the music business, and as a grown man with a great deal of responsibility. Having to financial support a growing family, had already developed discipline, a deep understanding of practice to success, probably through sports as a youth, and had a goal orientated mind. Practicing with the Falcons, meant negotiating with other grown men. When he became manager of his sons, he had considerable authority, not as challenging as it might have been with the other members of the falcons. All that education Joe had was then directly laid upon his sons, he wasted no time and complete dedication with a very specific direction. In a resent release of never before seen outtakes of a Sylvia Chase interview, Michael spoke about the time before Motown, the band would often only be paid $15 a show, but as much as $300 on the floor from the crowd. That is a ton of money for the days of 1964-1968, the investment Joe Jackson had for his family band was based on solid evidence for a profitable return.